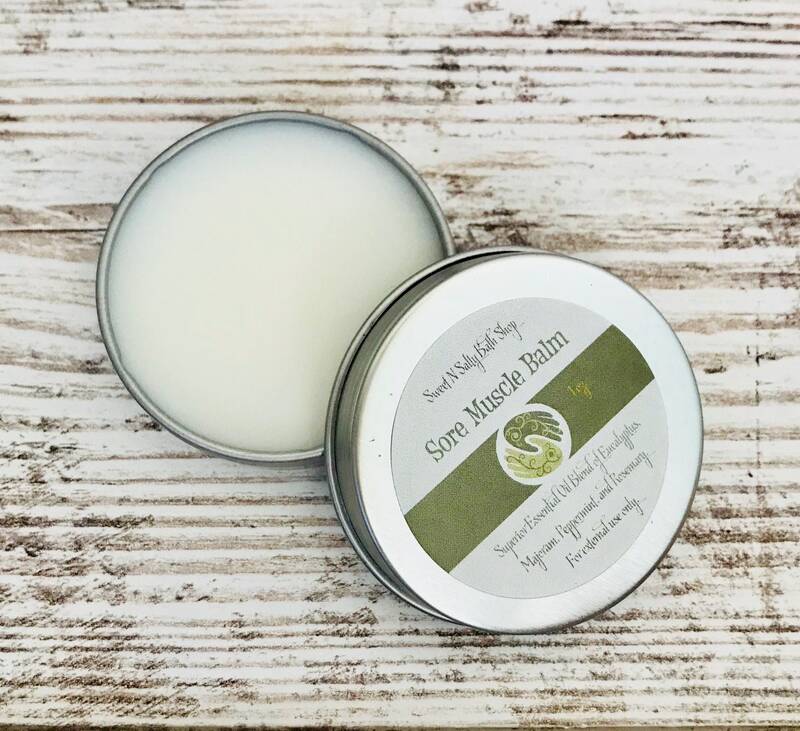 Soothe and Relax Muscle Tension and Stiffness Naturally With The Benefits of Aromatherapy Balm. 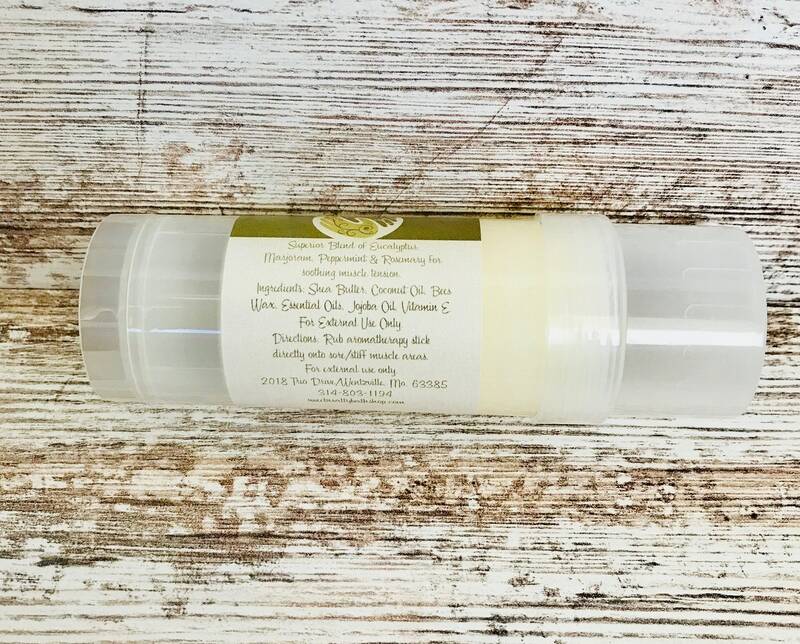 Made With Pure, Undiluted Eucalyptus, Peppermint, Majoram, and Rosemary Essential Oils that are blended together in a luxurious balm that is convenient to take anywhere. 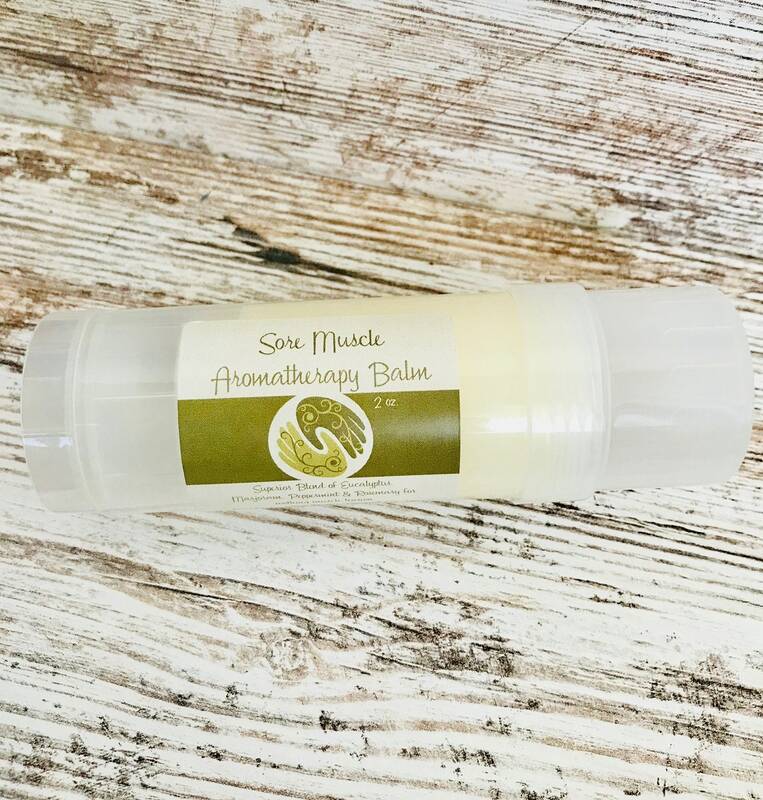 A great alternative to messy oils and creams! 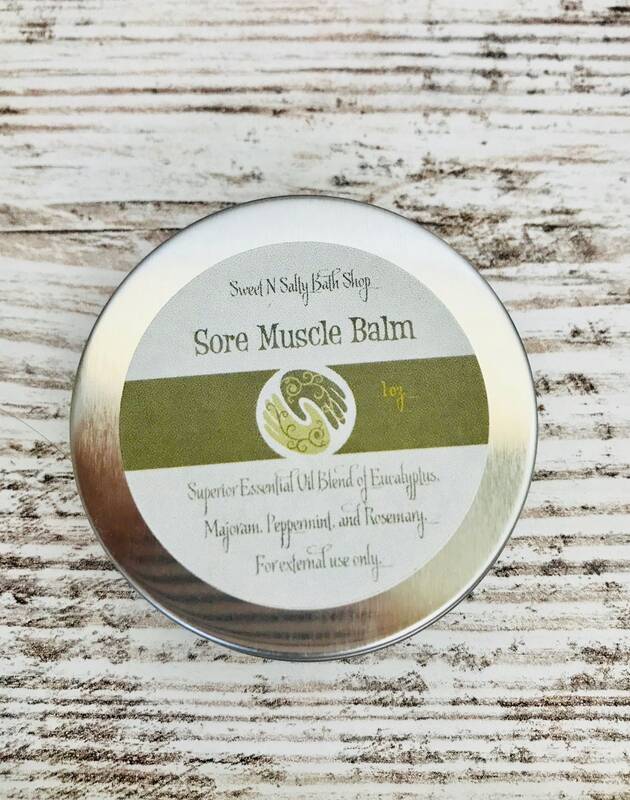 This listing is for one Sore Muscle Balm in your choice of 1 oz. 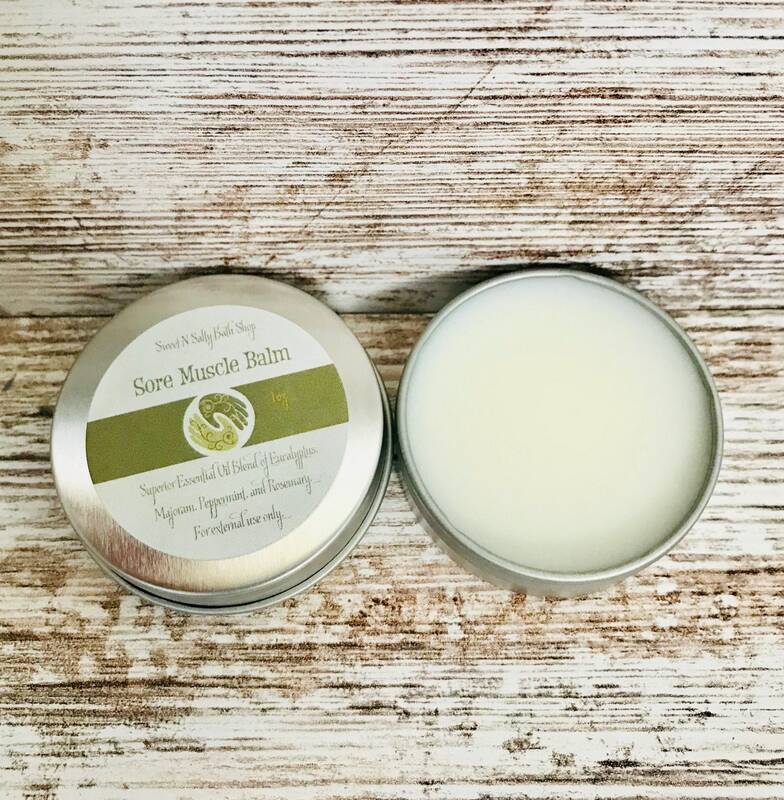 tin or 2 oz. twist up tube. 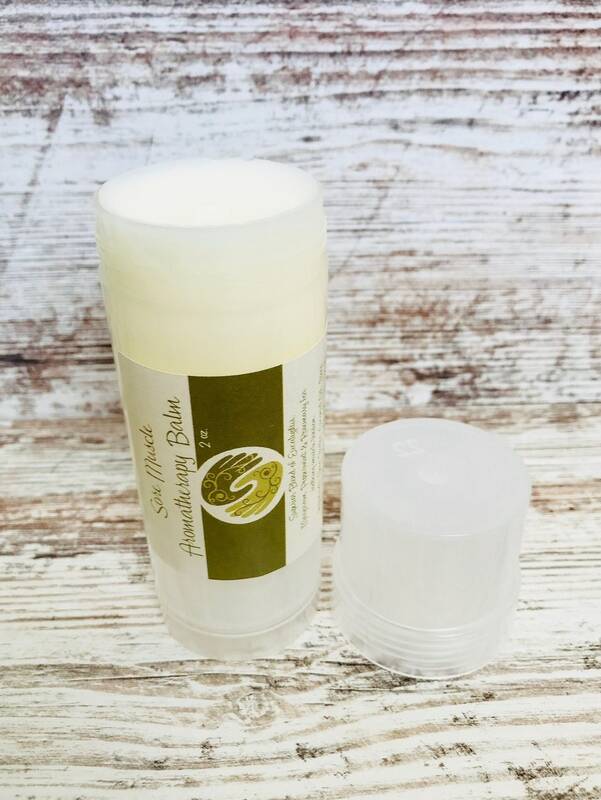 Shea Butter, Coconut Oil, Bees Wax, Essential Oils, Jojoba Oil, Vitamin E.
Visit, follow, and like us on Facebook for and Instagram for new products, coupon codes, giveaways and more!